EDITORIAL NOTE: In light of recent events and discussions on campus related to diversity, The ECHO staff invited opinion pieces related to diversity. While the views contained in this opinion piece do not necessarily reflect the opinions of The ECHO staff, we do believe it is important that to further promote conversations in this area that we provide a forum for all responsible opinions even when we or others may disagree with part or all of the content. We encourage readers to provide comments related to these opinion pieces in a respectful manner that promotes continued dialogue. There is a clear lack of diversity on the campus of Southern Nazarene University. Many students who are a part of a minority group feel marginalized and overlooked at times, and it hurts. Imagine coming to a new place where very few of the people look or act like you, or come from an environment like yours. How would that make you feel? It’s true that one must step out of his comfort zone when entering a new environment, but in this case the environment must also change in order to suit the needs of the people. This problem is not only affecting students, but staff also. For example, SNU has no problem diversifying the athletic teams they put on the field, so why is it that there is a lack of that same diversity on the coaching staffs? The same can be said about the rest of the faculty on campus, as there are only a handful of ethnically diverse people who work at the school outside of the lunchroom or janitorial duties. Representation is important. I’m in college to get an education and become the most successful man I can possibly be, but I have few role models on campus I can completely identify with. How can you expect me to be great and not give me an example? Some individuals who are in the minority are also asked to sit in and participate at chapel where we also feel marginalized a majority of the time. The staff then wonders why the student body seems so disinterested. If you make a person be somewhere, you should appeal to them at least some of the time or they will tune you out. If you do not, it honestly feels like being force fed every chapel instead of being nourished by it. There are some who don’t believe we have a problem with diversity, and those people are probably a part of the majority on campus. I can’t blame them; most people who aren’t affected by an issue aren’t bothered by it. But for those who are in the minority, it not only bothers us but also hurts us because we don’t have the privilege of ignoring these issues. We deal with it daily. Some of us feel different and left out, and it’s sad because we all want the same thing. Small progressive moves such as diversifying staff, recognizing holidays and historical figures, offering more classes centered around other cultures or making announcements during chapel about these holidays and figures among other things can go a long way. 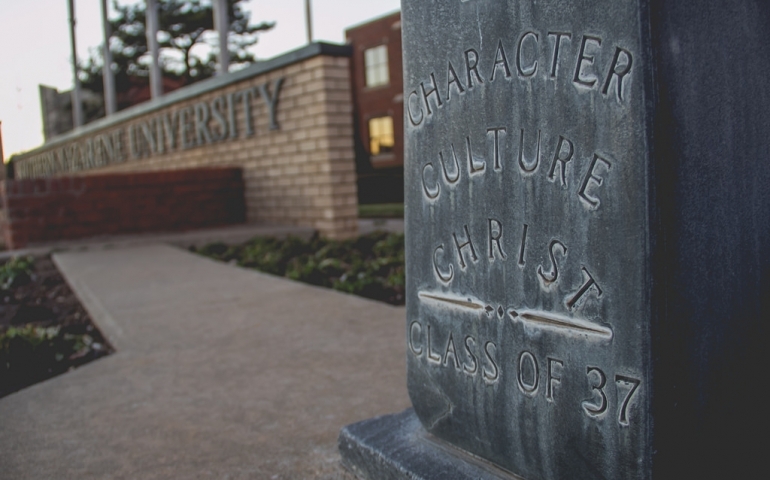 SNU’s motto is “Character, Culture, Christ,” but to my understanding a cultured person is one who appreciates and recognizes different people and where they’re from. I’ve won accolades and championships fighting for SNU on the track; all I ask is that the school take a stand on diversity and fight for me. This issue is about inclusion into SNU’s culture, NOT intrusion. I don’t want to change anything; I’d just like to feel welcome. If the school is reluctant to welcome diversity due to its love of tradition, then I’m afraid it will have problems with cultural insensitivity again in the future.